Sometimes in battle you do not have a partner to save you. 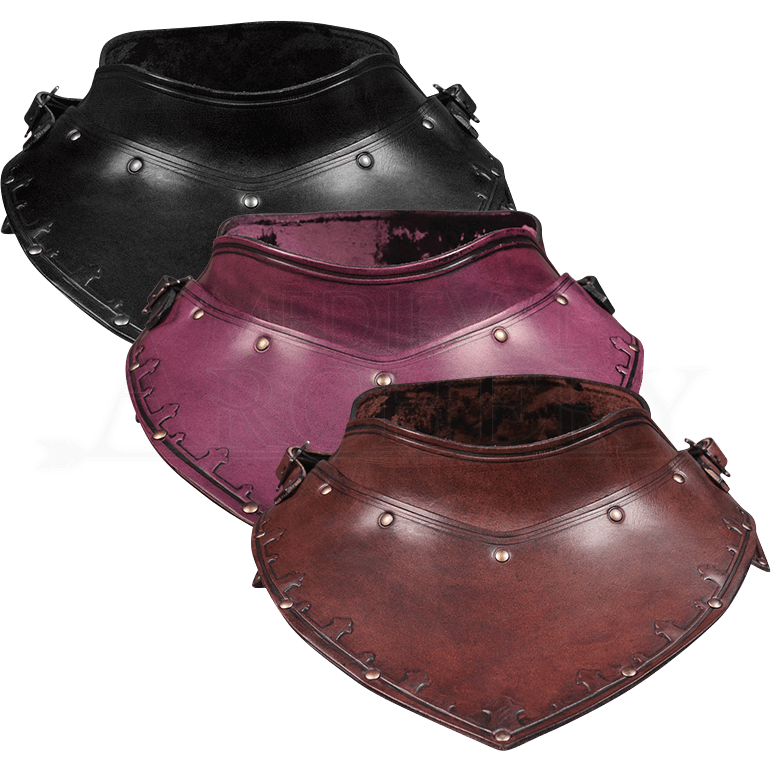 Protect your neck from enemy blows with the Titus Gorget at a LARP battle or stage fight. Available in four colors, any medieval knight or Western sheriff can adjust the unisex, two-piece collar as needed with the side buckles and straps. A pattern reminiscent of a fleur-de-lis decorates the trim in addition to metal rivets. Customize your character for a variety of medieval, fantasy, and Renaissance events with this versatile gorget.